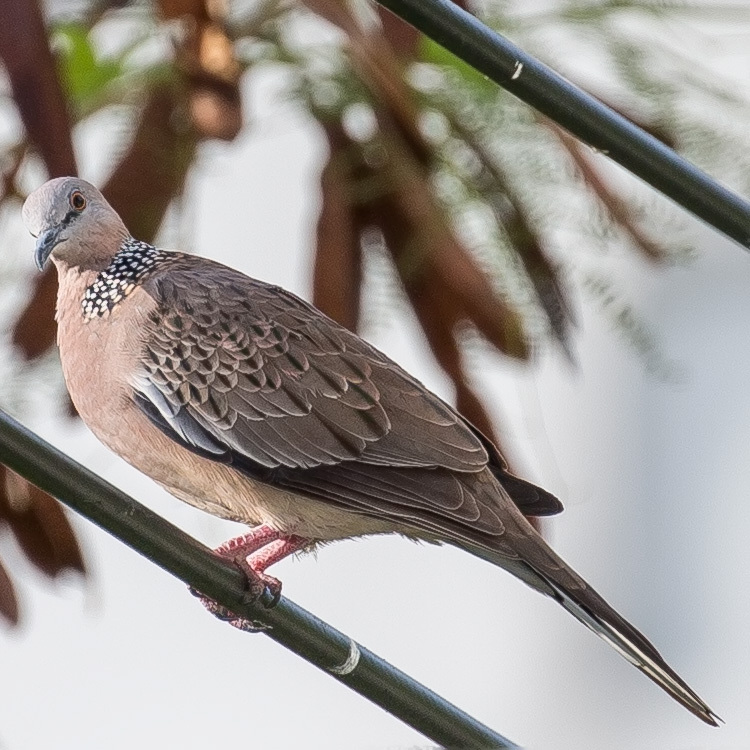 The spotted dove (Spilopelia chinensis) is a small and somewhat long-tailed pigeon that is a common resident breeding bird across its native range on the Indian subcontinent and Southeast Asia. The species has been introduced into many parts of the world and feral populations have become established. This species was formerly included in the genus Streptopelia with other turtle-doves, but studies suggest that they differ from typical members of that genus. 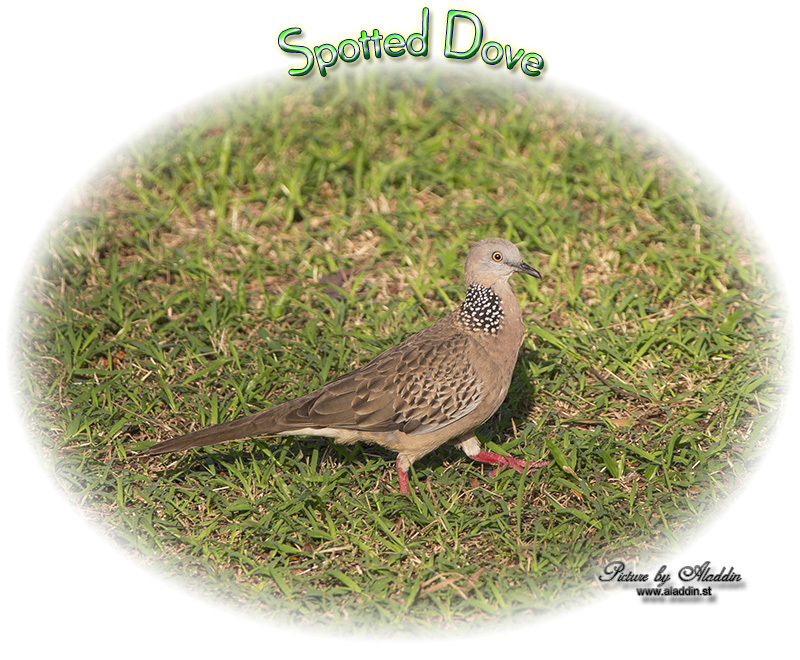 This dove is long tailed buff brown with a white-spotted black collar patch on the back and sides of the neck. The tail tips are white and the wing coverts have light buff spots. There are considerable plumage variations across populations within its wide range. The species is found in light forests and gardens as well as in urban areas. They fly from the ground with an explosive flutter and will sometimes glide down to a perch. It is sometimes also called the mountain dove, pearl-necked dove, lace-necked dove, or spotted turtle-dove. The spotted dove in its native range in Asia is found across a range of habitats including woodland, scrub, farmland and habitation. In India it tends to be found in the moister regions, with the laughing dove (S. senegalensis) being commoner in the drier areas. These doves are mostly found on the ground where they forage for seeds and grain or on low vegetation. The species has become established in many areas outside its native range. 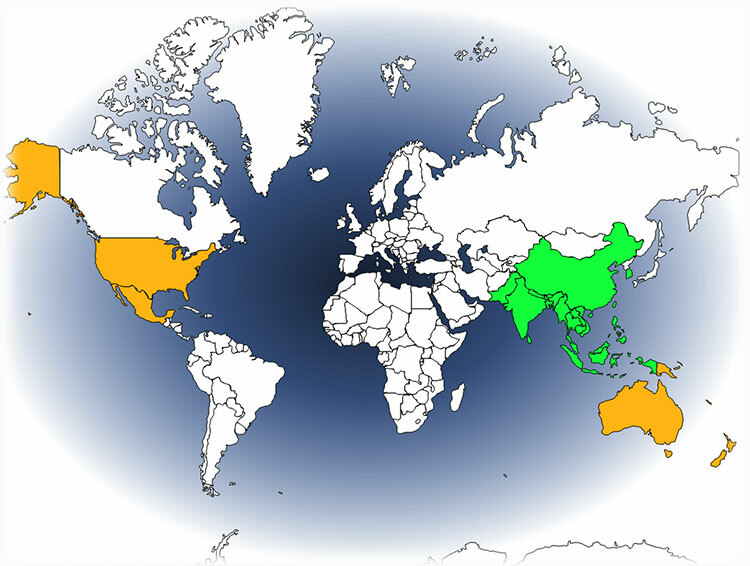 These areas include Hawaii, southern California, Mauritius, Australia and New Zealand. In Australia, they were introduced in Melbourne in the 1860s and has since spread, often replacing native doves. They are now found in streets, parks, gardens, agricultural areas and tropical scrubs in diverse locations across Australia. The original populations appear to be chinensis and tigrina in varying proportions. The ground colour of this long and slim dove is rosy buff below shading grey on the head and belly. There is a half collar on the back and sides of the neck made of black feathers that bifurcate and have white spots at the two tips. The back has brown feathers with rufous spots in the Indian and subspecies. verb divide into two branches or forks: [no OBJ.] 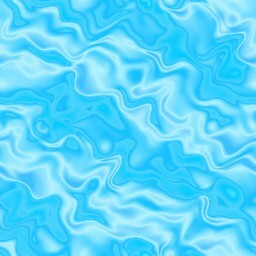 just below Cairo the river bifurcates | [with OBJ.] the trail was bifurcated by a mountain stream. adjective forked; branched: a bifurcate tree. ORIGIN early 17th cent. : from medieval Latin bifurcat- ‘divided into two forks’, from the verb bifurcare, from Latin bifurcus ‘two-forked’, from bi- ‘having two’ + furca ‘a fork’. adjective Botany & Zoology (of a part of a plant or animal) divided by a deep cleft or notch into two parts: a bifid leaf | the gut is bifid. ORIGIN mid 17th cent. : from Latin bifidus, from bi- ‘doubly’ + fidus (from findere ‘to split’). The lesser median coverts are grey brown. The Indian populations have these coverts with rosy spots at the tip divided by a widening dark grey streak along the shaft. The primary coverts are dark brown. The wing feathers are dark brown with grey edges. The centre of the abdomen and vent are white. The outer tail feathers are tipped in white and become visible when the bird takes off. Sexes are similar, but juveniles are duller than adults and do not acquire the neck spots until they are mature. The length ranges from 28 to 32 centimetres. 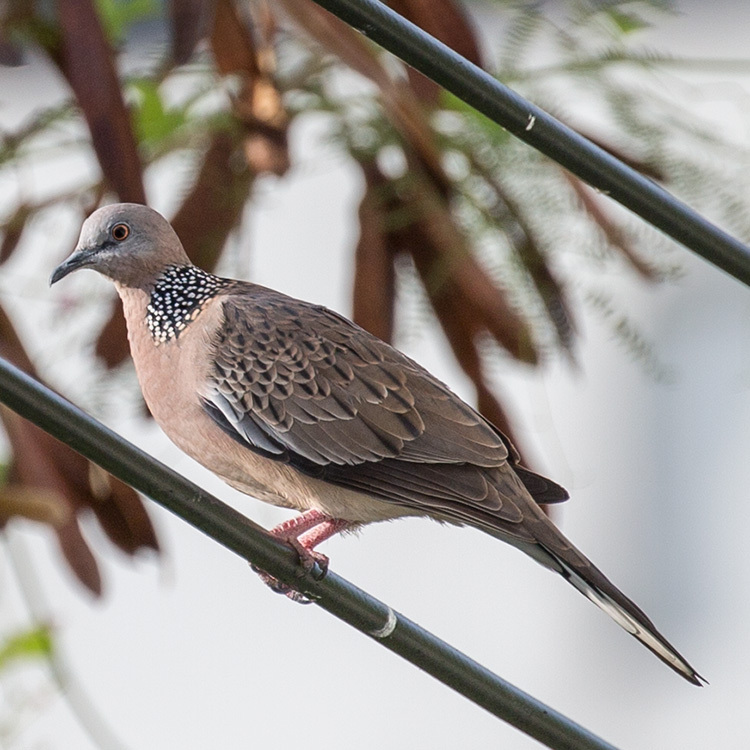 This species was formerly included in the genus Streptopelia, but a 2001 study based on molecular sequence as well as vocalization indicated that it and the laughing dove (Streptopelia senegalensis) stood out from the other taxa then included in Streptopelia. This led subsequent authors to split these two out into the separate genus of Spilopelia. Carl Sundevall had erected the genus Stigmatopelia with the type senegalensis while also creating the genus Spilopelia (for chinensis, suratensis and tigrina, then treated as separated species) on the same page of his 1872 book. Some authors used Stigmatopelia arguing that it has priority as it appears first on the page. 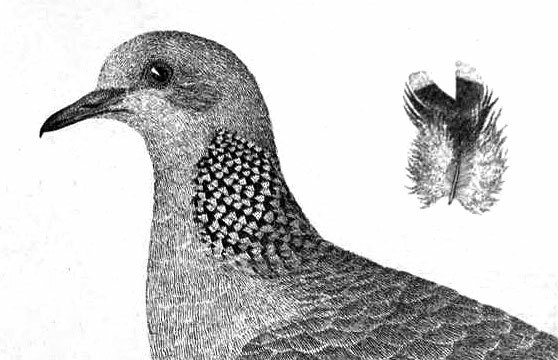 Schodde and Mason in their zoological catalogue of Australian birds however chose Spilopelia based on 24(b) of the ICZN Code which defers the decision to that of the first reviser. Several subspecies have been proposed for the plumage and size variation seen in different geographic populations. 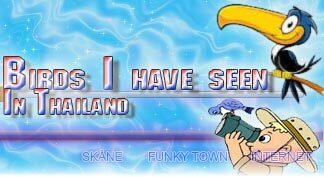 The nominate form is from China (Canton), which is also the origin of the introduced population in Hawaii. Subspecies formosa from Taiwan has been considered as doubtful and indistinguishable from the nominate population. The population in India suratensis (type locality Surat) and ceylonensis from Sri Lanka have fine rufous or buff spots on the back. There is a size reduction trend with specimens from southern India being smaller, and ceylonensis may merely be a part of this cline. The lesser and median wing-coverts are also spotted at the tip in buff. This spotting is lacking on populations further north and east of India, such as tigrina, which also differ greatly in vocalizations from the Indian forms. The population from Hainan Island is placed in hainana. Others like vacillans (=chinensis) and forresti (= tigrina) and edwardi (from Chabua = suratensis) have been considered invalid. Spotted doves move around in pairs or small groups as they forage on the ground for grass seeds, grains, fallen fruits and seeds of other plants. They may however take insects occasionally and have been recorded feeding on winged termites. The flight is quick with regular beats and an occasional sharp flick of the wings. A display flight involves taking off at a steep angle with a loud clapping of the wing and then slowly gliding down with the tail spread out. The breeding season is spread out in warm regions but tends to be in summer in the temperate ranges. In Hawaii, they breed all year round, as do all three other introduced species of doves. Males coo, bow and make aerial displays in courtship. In southern Australia, they breed mostly from September to January, and in the north in autumn. They nest mainly in low vegetation, building a flimsy cup of twigs in which two whitish eggs are laid. Nests are sometimes placed on the ground or on buildings and other structures. Both parents take part in building the nest, incubating and feeding the young. The eggs hatch after about 13 days and fledge after a fortnight. More than one brood may be raised. 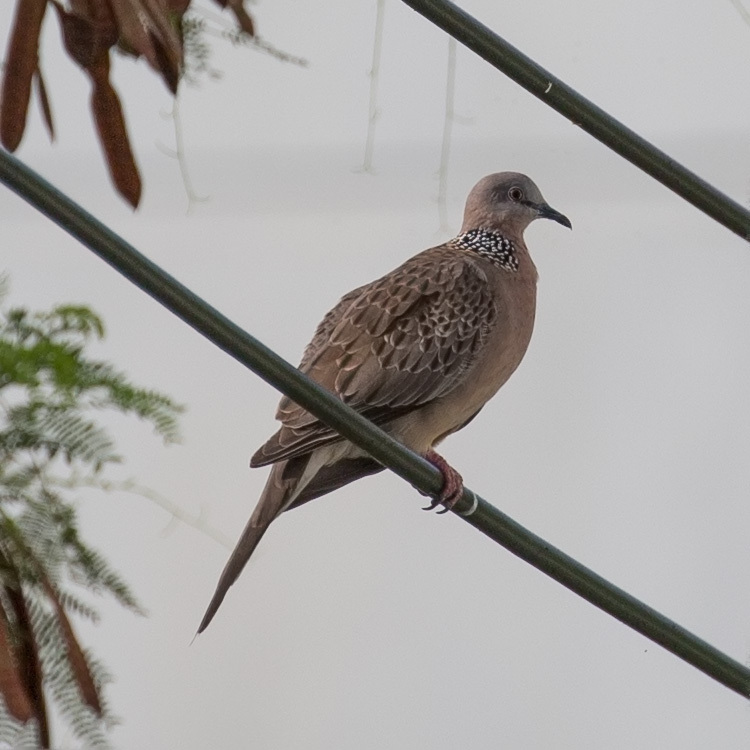 The vocalizations of the spotted dove include cooing softly with a Krookruk-krukroo... kroo kroo kroo with the number of terminal kroos varying in the Indian population and absent in tigrina, chinensis and other populations to the east. IUCN Red List of Threatened Species. Version 2015.4. International Union for Conservation of Nature. Retrieved 3 June 2013.